Disclaimer: I do anticipate updating my review of this product IF I ever receive it 😩. It’s been nearly a month and still no word back from the company. I went ahead and used a discount code from my first ever complimentary VoxBox (so exciting!!). All I had to do was may for shipping (which I did, it was already billed). I received no confirmation email, and sent several emails to their customer service contact to see what the status might be. Still nothing. A few weeks later, I was able to get into my account to see the box was a confirmed Order, but there’s no tracking number and now, almost a full month afterwards, I’ve still not heard back OR received a box. I even tweeted at them! Has anyone else had this problem?? // TL;DR - I want to love Taste of Home so bad but I’m just worried I won’t get the chance to! My all time favorite dark fall shade after ‘We’ll Always Have Paris’ became so hard to find. This is my second favorite nail polish line. 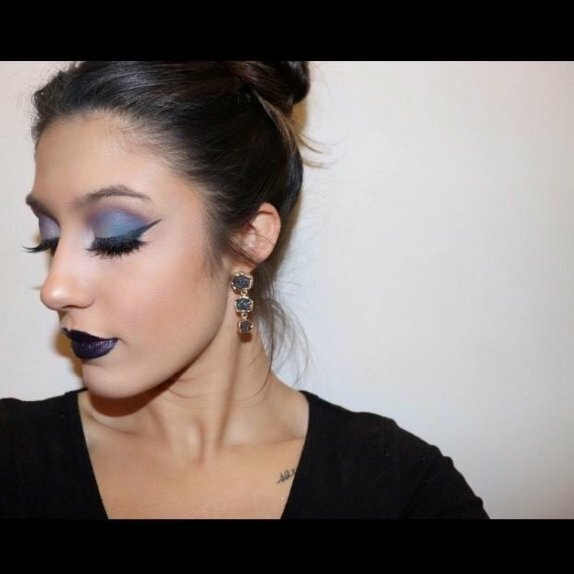 Always perform beautiful and they have a great shade selection with a multitude of finishes from matte to glitter to metallic, sheer to opaque and everything in between. A trust go to gal. I love these mini nail polish duos. You can really feel the quality of these - the formula is very thing and very pigmented with even the thinnest layer. I’m tough on my nails, and these good up strong with the proper top coat. A very beautiful selection of shades all around, and I love to use one shade as a pop of color on my ring finger with the darker or more neutral shade on the rest. I love the China Glaze applicator crush. It’s nice and wide which makes for easy, quick, even application in my opinion. I love all the dark colors they put out - the lighter shades tend to be too transparent for my taste more often than not. Very durable, enough for a week long mani done at home or maybe 9-10 days from a salon visit. What a fun surprise to receive in my first ever VoxBox! This was a product I’ve actually tried before and I did enjoy. I tend not to invest in biotin-heavy hair, skin & nails products because my hair and nails grow like crazy naturally. However, I do feel like these work for anyone who wants just a little oomph. I never noticed a HUGE difference in my skin, but I’m excited to use up this supply and see if I notice a difference this time around. They taste delicious, and you receive over a month’s supply for a very affordable price. The one thing I do caution against is that the primary ingredient here is sugar - very common in gummy vitamins but worth noting! 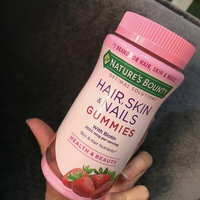 These also contain a healthy dose of Vitamins C and E that help nourish the skin and strengthen hair and nails. 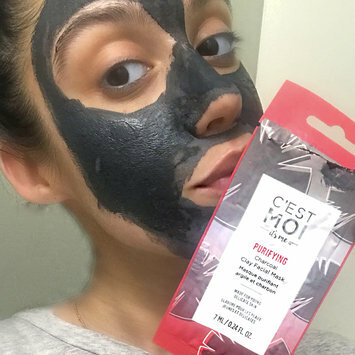 I received this particular supply complimentary from Influenster for testing purposes, but this is a product I’ve explored before so ya know it’s worth a go. I would recommend this for someone who just wants a little extra pick me up - if you are very concerned about these areas of your beauty routine, I would suggest researching something a little more intense. Eek! I love Ahava moisturizers but this mask just feels icky to me. It’s very thick but not very emollient, and can be used overnight, or layered on for a brief wash off use. I don’t know if it delivered much for me using either method, especially with my expectation set so high compared to their hand and body creams. I received this in a subscription box, so I’ll keep using it. But it doesn’t excite me much. I bough this in the sampler pack with the moisturizer and almost didn’t keep it because I thought it wasn’t doing much, but when I took a break from it, realized this product contributed far more brightness and luminosity to my under eye area than expected. While I won’t repurchase because I need something more targeted to hydration and fine lines for night, it did make me curious about the rest of the products from this line that I’m excited to put to the test. All in all, I think this was effective and worth the value, and smelled delicious! This is a great product, don’t get me wrong. I just felt like it was a little too thick for me and didn’t seem to absorb fully no matter how sparingly I applied it. Better for night time on my skin type, but an excellent selection for the extra dry or for more mature skin, which I think this line always hits the nail on the head for.